We all experienced it as a teenager and it's disappointing. Dropped off at the mall to meet up with friends, your parents only give you $20 to spend while everyone else got $50. Welcome to Brad Treliving's world when it comes to the 2017 NHL Draft. A month away from when the world's best 18-year-old hockey players will descend upon Chicago's United Center, the sad reality for Treliving in this GM version of a trip to South Centre is he won't be able to get as many things as everyone else. As things stand today, he has his first round pick, but then won't pick again until round 4. Never before since Atlanta entered the league in 1972 -- that's a total of 45 entry drafts -- have the Flames found themselves in the situation they're in this year of having only one pick in the first three rounds. Two other recent drafts spring to mind in which Calgary was more spectator than participant, but in each case they still had two picks in those first three rounds. In 2015, thanks to the trade for Dougie Hamilton, the Flames did not have a first round pick. However, they did end up selecting twice in the second round before also sitting out rounds 3 and 4. In 2010, Calgary was without a first rounder (Olli Jokinen trade) or second rounder (Rene Bourque trade), but they did draft twice in the third round. Rasmus Andersson, Tyler Parsons, Brandon Hickey, Oliver Kylington, Jon Gillies, Dillon Dube, Adam Fox. That's seven kids, who when conversation shifts to the club's future, will bring a smile to the face of any Flames fan, excited about what these talented prospects could turn into. Going by my most recent Flames prospect rankings released in February, all of them were in the top 10, coming in 2nd, 3rd, 4th 5th, 6th, 7th and 10th respectively. The other thing they all have in common? Each of them were second or third round picks with all of them except Gillies (2012) drafted by Treliving. While it's too early to call any of them sure things, if you squint your eyes and gaze optimistically into the future, you can envision that group producing at least a couple top-four D, a top-six forward and a No. 1 goaltender. Add to that, two second round picks made up two-thirds of the package sent to Boston in June 2015 to bring in Hamilton. Fast forward to this spring and the Flames currently have no picks during what's recently been a very lucrative second and third round. Calgary will select 16th, the first of this past year's playoff teams to head to the podium. After that, they are not slated to pick again until the fourth round when they get the 109th holler. In between, 92 players will come off the board in what's bound to be an agonizing wait for the organization's amateur scouts, who have invested so much time over the last couple winters tracking, evaluating and ranking kids that ultimately they may have no means to select. To refresh your memory, Calgary's second round pick (47th overall) for 2017 was shipped to the Ottawa Senators on Mar. 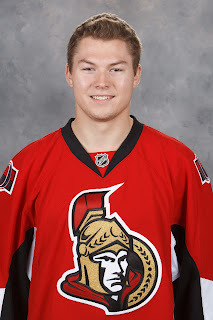 1, 2017, in the trade that brought back forward Curtis Lazar, who in 2013 was the Senators first round pick (17th overall). Will Lazar ultimately end up providing first round value? Doubtful given how his career has gone so far, but that's not what they paid either. The marked-down price for him was a middle second round pick and at that point in a draft, calling it a coin flip as to whether or not you'd typically land a legitimate NHLer, would be too high of odds. In summary, the odds of drafting a player that will play at least 100 NHL games is just 41 percent. Odds of getting a legitimate contributing NHLer, who plays in at least 400 games, drops to just 27 percent or a little over 1-in-4. The latter is what the Flames' modest expectations should be with Lazar, while holding out hope that he will still evolve into the impact NHLer the Senators hoped he would become when they drafted him. Calgary had a need. A glaring need. They also had a reason for optimism as to how dangerous the club could be, if they filled that need. Badly in need of a second pairing guy to play alongside the struggling TJ Brodie, Treliving acquired Michael Stone from the Arizona Coyotes a couple weeks prior to the trade deadline. The cost of adding the 26-year-old pending UFA for the remainder of the season was a third round pick. It was a calculated gamble by the GM. 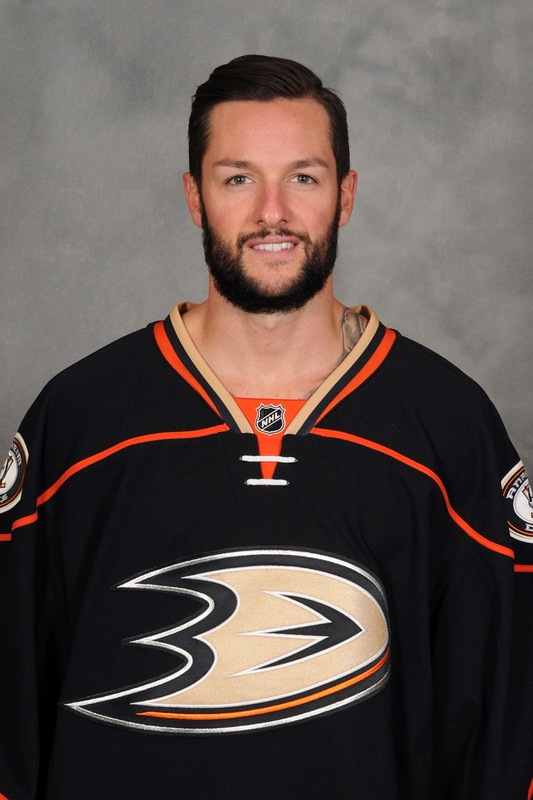 In hindsight, you could argue it never worked out because the Flames were swept by Anaheim in four games, but at a time of year when first or second round picks are frequently leveraged for rentals, it was a nominal price to pay for a guy, who came in and immediately delivered. Stone's arrival, which bumped slow-footed Dennis Wideman to the press box, stabilized the second pairing, sparked a significant uptick in Brodie's play, and was one of the factors in the Flames terrific run to finish the season. I'd also argue that losing to the Ducks in four games does not do justice to a series that was much closer to that and could have gone either way with better discipline and much better goaltending. Not having a second or third round pick to be able to bring new players into the organization is not ideal but it's recoverable. Plus, one of them was used to bring in a player that should be with the organization for many years. What makes the lack of early draft picks worse this year is the looming expansion draft in which those picks would have been useful currency for Treliving. In this piece I wrote last week, I examined the different types of maneuvering that Vegas GM George McPhee can do to build out not only Vegas' NHL roster for 2017-18 but also build up some much-needed organizational depth. That includes accumulating draft picks by doing other teams a favour in the expansion draft such as not picking a certain player or by taking a particular player. It leaves one wondering if the lack of draft assets this year could hamstring Treliving's ability to make a deal to rid themselves of a hefty contract (e.g. Troy Brouwer) or to maintain a young asset that will end up being exposed (e.g. 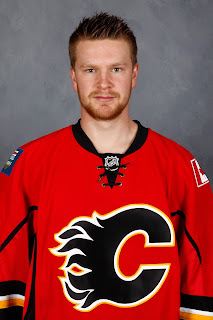 Brett Kulak). The good news is the Flames do have their full allotment of 2018 draft picks, plus they have an extra third rounder from Florida (part of the Jiri Hudler trade) and those should be attractive to Vegas too. That brings us to the question: Is there a way for Treliving to acquire more early round picks for this year's draft? While not a strong draft at the top end, many are describing it as a flatter draft in which there will still be plenty of good players selected, it's just a matter of finding them. You know what they say about throwing a dart, which is what the draft essentially is, you have better odds of hitting the bullseye if you have more darts to throw. Are there worries about the signability of Brandon Hickey? The highly touted 2014 third rounder has committed to going back to Boston University for his senior season to serve as team captain. Given he could become a free agent if he doesn't sign with Calgary by Aug. 15, 2018, can they and should they shop his rights? But what would a team give up to get his rights? Calgary has an excess of goaltenders in the system at the moment and could have a real log jam in the minors if Tyler Parsons turns pro this fall as expected. Do they move 2014 second rounder Mason McDonald, who in my eyes has slid behind Parsons, Gillies and Rittich on the depth chart? But what would you get in return? Third round pick? Seems unlikely. The Flames have limited options in terms of what they can move that would bring back a draft pick in the first three rounds. Doubt Matt Stajan given his salary would bring that return. Same thing with Lance Bouma. 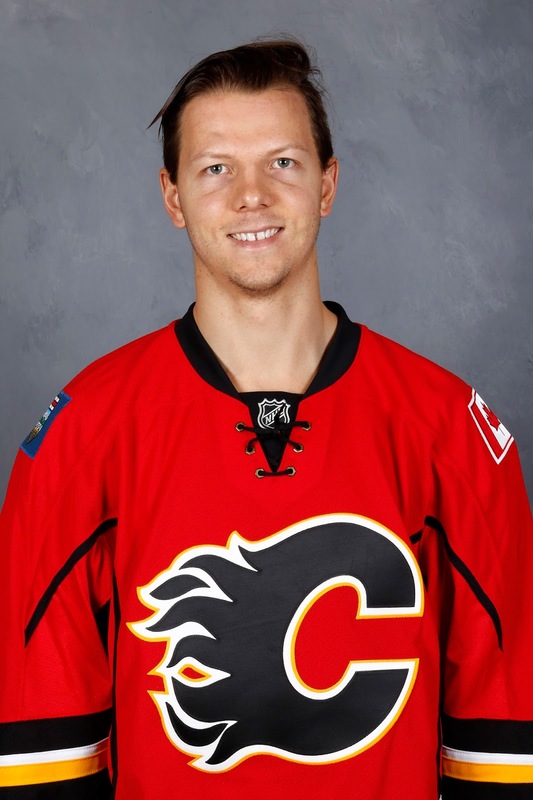 Hunter Shinkaruk, Morgan Klimchuk and Emile Poirier were all late first round picks from 2013 but where is their value at if Calgary chooses to move on from any of them? 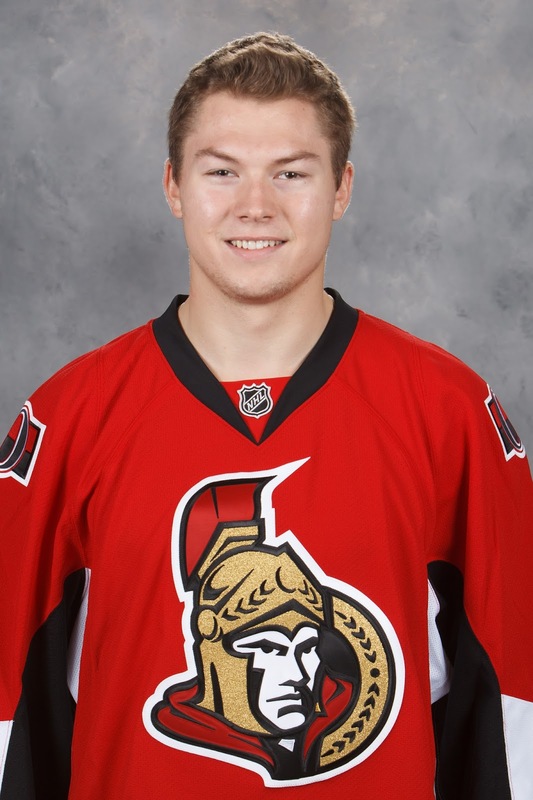 If Lazar, as a mid first rounder from that same draft class, was just flipped for a mid-second rounder -- and he has 180 NHL games on his resume -- you're likely looking a third round pick at best coming back for any of them. One of the best and common ways historically to increase your quantity of picks is to drop down in the draft. Calgary has 16th pick. Might Arizona package their first rounder (23rd overall) and second rounder (35th overall) to move up seven spots in the first round? Making a deal with his former team is something we've seen Treliving do a few times. St. Louis could be another fit. As it stands, the Blues will pick 20th in round 1. Would the Blues give up their second rounder (51st overall) in order to climb four spots in the first round? If a particular player they like is still available at 16, it's possible. Given Calgary has four picks in the first three rounds next season, maybe those are leveraged to get more picks this year. For example, if the Flames are prepared to move on from Tyler Wotherspoon, could they deal him along with a third round pick next year in exchange for a team's early third round pick this year? There could be some potential there. If the team makes a big splash by bringing in an established No. 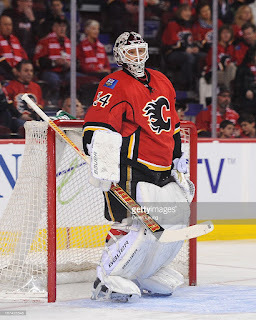 1 goaltender like Cory Schneider, part of that transaction could also involve a high draft pick coming back to Calgary. But now we're talking about a real significant package going the other direction if the Flames are going to get both a goalie and a high pick in return -- think Sam Bennett. So this is certainly a long shot. Even though Scott Darling's negotiating rights were worth a third round pick when Chicago shipped them to Carolina, Ben Bishop's rights when they were jettisoned to Dallas only netted a fourth round pick. That makes it highly doubtful that there would be any demand for Brian Elliott's rights. If the pending UFA doesn't re-sign with Calgary, interested teams will surely just wait until free agency arrives and try to sign him then. So again, it's a possibility, but the odds are remote. You can't hoard draft picks all the time, sometimes you have to go for it. As the Flames continue to improve as an organization, expect them to have less versus more draft picks in the years to come as there should be less selling off of UFAs at the trade deadline and if anything, there may be additions to help with a playoff push. That's the cost of winning and I'm pretty sure most fans are OK with that. It's just that this year, when the draft picks are slim but the quantity of playoff victories was even more thin, that tends to leave a bitter aftertaste. 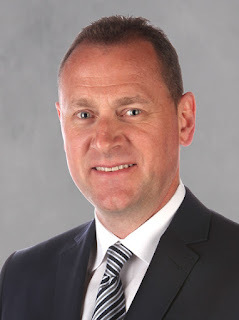 If it turns out that Treliving does end up with just that $20 on draft weekend, he'll just have to find some bargains and sixth round picks turned 50-goal major junior scorers Andrew Mangiapane and Matthew Phillips are proof that the Flames GM has a penchant for doing that. Don't steal from anyone who doesn't deserve it. Play the game like you've got nothing to lose. Sixteen years after the big screen premiere of Ocean's 11, intricate backroom scheming is once again underway in Sin City, only this time it's a different George as the ring leader. In just over four months, the NHL's newest franchise will play its first preseason game. But there is obviously much work to be done before then as the Golden Knights organization, as of today, consists of just two players. The mastermind in charge of the plan is general manager George McPhee, who has carefully assembled his front office team. As part of their preparations for the upcoming expansion draft, they're now perusing the blueprints of every NHL roster and deciding on what to steal. In each instance, they need to decide whether they will keep the merchandise after or try to fence it. On June 17, the protected list for each NHL team will be submitted. Teams can choose to protect either 11 players (7 forwards, 3 defencemen, 1 goalie) or 9 players (8 skaters, 1 goalie). Generally speaking, players in their first or second pro season are exempt from needing to be protected. Following that is a 72-hour deliberation period for Vegas for them to decide exactly which combination of 30 players -- one per team -- they will select. The final results will be unveiled to the public on June 21. On the surface, this may seem like a straightforward enough exercise. Look at the exposed lists for each team and grab the best player. But for McPhee, there's way more to it than that and to best set up his hockey club for success down the road, this is a great opportunity to do some maneuvering with other GMs to extract long-term value out of the expansion draft process. To begin, here are five considerations McPhee must keep in mind when assembling this initial group of 30 players. That leaves four extras. One thought process would be to use those extra spots to stockpile some additional young defencemen. Another strategy could be to take a couple extra goaltenders with the purpose of auctioning them off after to the highest bidders. There is expected to be some quality back-ups available, some of whom have the potential to be a No. 1, and there are other teams looking for that exact thing. The cumulative cap hit from the players selected must be somewhere between $43.8 million and $73 million. That range is 60 percent to 100 percent of the 2016-17 salary cap ceiling. This basically means you can't go with all young players on thrifty deals, you will need to absorb some larger contracts also. In fact, they have the option to take on a bunch of large contracts if they were incented to do so, which is a point I elaborate on below. Worth noting also is one thing they don't have the option to do is buy players out. Any contracts that come in via the expansion draft, must remain intact for at least one year. First buyout period for Vegas isn't until the spring of 2018. Let me save you from doing the the long division. The math doesn't add up. Vegas will select 30 players in the expansion draft, yet an NHL roster can be a maximum of 23 players. That means barring injuries and any other transactions, eight of the players selected would theoretically need to be assigned to the Chicago Wolves, which is Vegas' new AHL affiliate. Why eight and not seven? Don't forget that Vegas already has Russian free agent signing Vadim Shipachyov on its roster. But there's a catch when it comes to building organizational depth through players selected in the expansion draft -- see my next point. The criteria for what makes a player exempt (less than three seasons of professional experience) for expansion draft purposes aligns almost perfectly with the period in which a player is not waiver eligible. The flip side of that is generally speaking, skaters available in the expansion draft will be waiver eligible starting in 2017-18. As a result, it's not as simple as Vegas assigning its extra players to the AHL in September. Most, if not all, of the skaters would first need to be put on waivers where their old team (or any other team) could claim them right back again. The one exception is goaltenders, who typically end up on a slower path to waiver eligibility. Columbus' Joonas Korpisalo and Buffalo's Linus Ullmark are two examples of goalies who are not exempt but also are not waiver eligible next season so could be selected in the expansion draft and subsequently assigned to the AHL without any risk of losing them. Further to the above points, Vegas will need to build up a minor league system and sooner than later. While this can be built up eventually through the entry draft, there's a one or two-year lag between when a player is drafted and when, based on their year of birth, they are old enough to be assigned to the AHL. For next season and even the year after, Vegas' minor league roster will need to be stocked through free agent signings or trades. It makes picking up pieces in the expansion draft, which could be leveraged in trades for younger players, another factor to consider. With all this in mind, here's a look at six different approaches McPhee could take with each team, when assembling his initial group of 30 players. This is the approach fans typically take when doing their mock expansion drafts over beer and a platter of salt and pepper wings. Look at the list of players available from each team and simply select the one player with the potential to contribute the most to the Golden Knights in the years to come. In this scenario, considering Vegas won't be in win-now mode for a few years, you're looking at guys that either: (a) Are under contract for two or more years so can be had for a while. (b) Are restricted free agents, who are still relatively young and could be under team control in terms of their salary for at least a couple more seasons. Flames Slant – From this perspective, Troy Brouwer (three years of term remaining), Alex Chiasson (RFA), Brett Kulak (RFA) or Tyler Wotherspoon (RFA) would be the most logical candidates. For teams that have hard decisions due to having too many no-move clauses and/or too many good players, they will be forced to expose someone they don't want to lose. In this instance, there is still a way to keep that player without protecting them. McPhee has said he's open to making side deals that involve acquiring draft picks and this would be a situation where coming to such an arrangement makes sense. It sounds like organized crime but it's completely allowed. Vegas would be essentially paid off by a team (hush money) in the form of a draft pick or prospect, to look the other way and pass over a particular player that is on the exposed list. 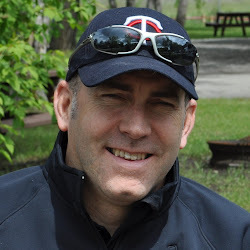 Flames Slant – There is not an obvious player this applies to. Had Brouwer had a more impactful season and if Calgary had seven other forwards they also wanted to protect, this could have been an example where the Flames protect Brouwer and expose someone like Curtis Lazar but then buy McPhee's cooperation to not take Lazar with a side deal that involved sending Vegas a draft pick. But I don't think this applies in the team's current situation and I'd expect Brouwer to be available. Similar to the above, only rather than bribing Vegas to not select a particular player, this time the ask of Vegas is to select a certain player and avoid all others. If a team has a contract they're trying to get out from under, this is a golden (pun intended) opportunity. But this life preserver that McPhee would be tossing a team would certainly come with a price in the form of draft pick(s) and/or prospect(s). 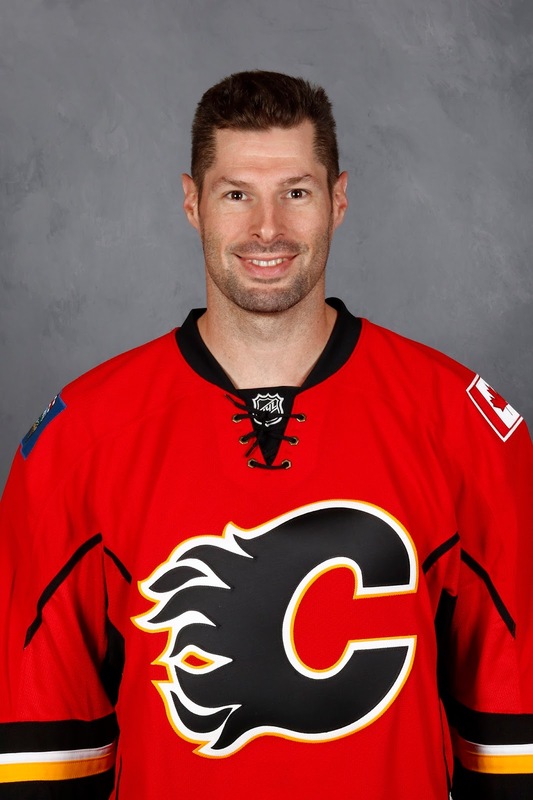 Flames Slant – Finishing the year on the fourth line and with $4.5 million owed for the next three seasons, Brouwer is unlikely to be the first name on Vegas' short list for Calgary. Sure, McPhee traded for him when he was Washington's GM six years ago, but Brouwer was 26 then. Now he's on the wrong side of 30. That said, Brouwer does bring those leadership qualities McPhee has stated he'll be seeking to help bring together a team of castaways. It's possible Brad Treliving can coax him into taking Brouwer by offering up a prospect or draft pick. Vegas needs to build up a minor league system but as mentioned, it's going to be really difficult to stock their AHL club through the expansion draft. To get their hands on younger prospects that have bigger upsides but are exempt, they'll need to trade for them. A scenario is Vegas likes a particular prospect on a team but that player is exempt from being taken in the expansion draft. Meanwhile, that players' team is in win-now mode and would rather have a player closer to contributing to the NHL level and would be willing to add that at the expense of a younger prospect with potential, but whose future is less certain. 1. Vegas selects a player then promptly flips him to another team in exchange for a younger, non-waiver eligible prospect they can stash in the minors. 2. A team proactively trades one of their exempt prospects to Vegas in exchange for 'future considerations'. The future considerations is McPhee agrees to not take anyone from that team in the expansion draft. Taking nobody is something easily enough facilitated as Vegas can waste that pick by selecting one of the pending UFAs that will be a free agent on July 1. Flames Slant - Take Kulak for instance. Near-NHL ready, Vegas might like his upside but with the other defencemen available around the league, they're not sure if he would crack the NHL team in October and if he doesn't, they risk losing him on waivers for nothing if they try to demote him. Instead, McPhee can propose to Calgary the future consideration of not taking Kulak. 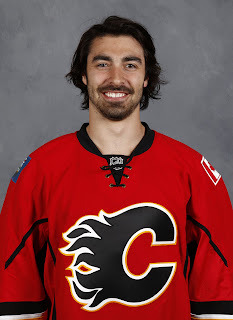 In a related transaction, the Flames, for example, could trade to Vegas the rights to college player Brandon Hickey. That sort of thing. Remember how San Jose got Martin Jones from Los Angeles in 2015? Through the Boston Bruins. For obvious reasons, the Kings would not trade the budding No. 1 goalie to their California rival but after trading him to Boston, the Bruins then promptly traded him to the Sharks. Fast forward two years and one of the teams you would think that would definitely have an interest in Marc-Andre Fleury is Philadelphia given Steve Mason is a pending unrestricted free agent and Michal Neuvirth has not proven to be anything more than a back-up. 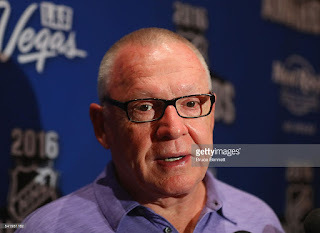 However, Pittsburgh GM Jim Rutherford would never trade Fleury to the state-rival Flyers. Only once in the last 25 years have the Penguins traded a roster player cross-state and that was a swap of fourth liners (Kent Manderville for Billy Tibbetts) at the 2002 trade deadline. Enter McPhee, who much like the Morgan Freeman character Red in Shawshank Redemption, he's a guy that can get things. It's conceivable that McPhee selects Fleury in the expansion draft then deals him to the Flyers for a nice return. Will be interesting to see if McPhee uses his potential power as a middleman to broker some transactions between teams that normally don't trade with each other. Flames Slant - Depending on what the Ducks end up doing and if they find a way (e.g. 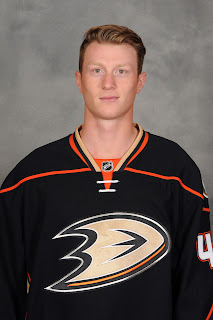 Buying out Kevin Bieksa) to protect the more conventional 7-3-1 breakdown, 6-foot-3 right-shooting defenceman Josh Manson, could be the most coveted guy left exposed. Might Calgary have interest in the rugged, right-shooting 25-year-old as they look to add some physicality to their back end? Why not. While Anaheim GM Bob Murray isn't dealing him to Calgary, McPhee, on the other hand, could select Manson and then deal him to the Flames in exchange for a prospect and/or a draft pick. For some veteran players expected to be available in the expansion draft, their salary is the major issue. In many instances, these are still useful players, but they're making too much money for what they contribute. Again, this is an opportunity for McPhee. Per the CBA, a team can retain salary (up to 50 percent of their cap hit) on as many as three traded players. Not expected to be a cap team immediately, McPhee could use this option to extract a bigger return for a player that otherwise would have far less value, if they could even be traded at all. 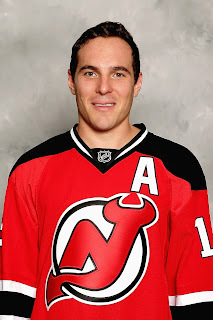 For example, New Jersey's Mike Cammalleri has two more years on a deal that pays him $5 million annually. Coming off a down season, there won't be too many teams interested in the 34-year-old at that price tag, but if he could be had for $2.5 million? Now we're talking. He's just one year removed from being a guy you could count on to score 25-30 goals. Ottawa defenceman Marc Methot is another. The defensive defenceman is making $4.9 million the next two years. If he could be had for half that, there would be a ton of interest around the league. Similar story for Sharks blueliner Paul Martin, who carries a $4.8 cap hit the next two years. How about Martin for $2.4 million? Now there's interest. Flames Slant - Washington had Brouwer for four seasons and you know the Capitals have to make some changes after yet another early playoff exit. His $4.5 million price tag won't interest them but what if he could be had for $2.25 million? 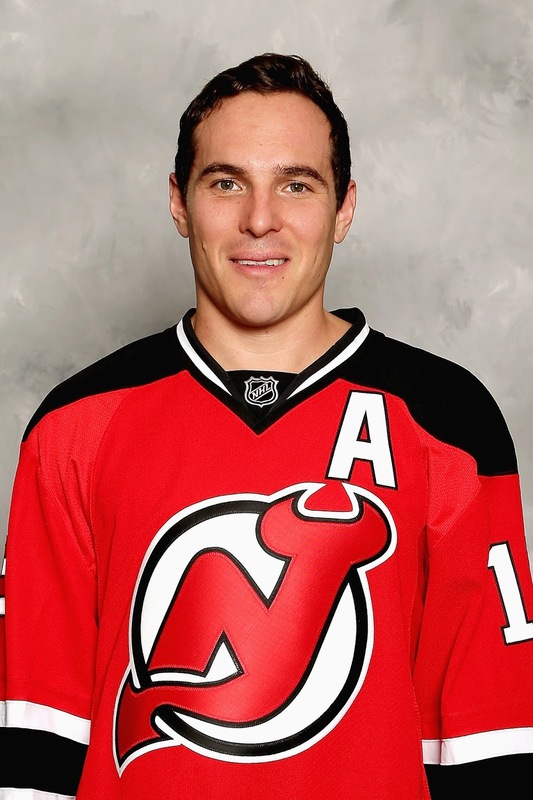 Or maybe a return to St. Louis where he scored eight goals in leading them to the Western Conference final last year? I'd suggest both are a long shot but the ability to retain salary and flip a player to another team to acquire some assets is yet another one of McPhee's options. It's going to be fascinating to see this play out. The NHL making the expansion lists public will be great, but what won't be known when those lists come out is the various agreements that have been made, or end up being made, to influence McPhee's player selection. In a year where the Flames pick in the middle of the first round in the NHL Draft and at this point have no picks in the second or third round, the expansion draft is of far greater interest for me right now. Although this lack of draft picks for 2017 could also hamstring Treliving's options in any dealings with McPhee. In particular, I'm especially interested to see how McPhee leverages this expansion draft because there really are a ton of different ways to extract more value out of it while also setting up Vegas for future success. For more on the expansion draft, I highly recommend the expansion draft page at Cap Friendly. For a hockey fan, it's a good way to kill a long weekend. That, and re-watching the Ocean's Trilogy. Will Calgary's next starting goaltender have a Stanley Cup ring on his catching hand? Whether it's Marc-Andre Fleury, getting it done right now, or Matt Murray, who got it done last year, the situation in Pittsburgh is one to keep a close eye on. With the looming expansion draft leaving the Penguins in a bit of a pickle, there are several reasons why it makes sense for Flames GM Brad Treliving to have Pittsburgh GM Jim Rutherford on speed dial, and vice versa. For eight-plus seasons, Calgary enjoyed the luxury of rolling out Miikka Kiprusoff between the pipes nearly every night. From when the Finn arrived in a gift basket from San Jose in November 2003, through when he retired in 2013, Kiprusoff won a franchise-record 305 games. No other goalie wearing the Flaming 'C' during that time won more than eight. The four years since have been the complete opposite. A carousel of no less than seven goaltenders have been given the opportunity at some point to be the No. 1: Joey MacDonald, Karri Ramo, Reto Berra, Joni Ortio, Jonas Hiller, Brian Elliott and Chad Johnson. In the second half last season, it looked like Treliving had finally found his guy. From Jan. 26 through the end of March, Elliott was excellent. He went 18-3-1, won 11 games in a row in one stretch, and of the goalies to start at least 10 games over that span, his .930 save percentage ranked fourth behind Sergei Bobrovsky (.941), Jake Allen (.939) and Jonathan Bernier (.932). It felt like a contract extension was an inevitability. However, you have to wonder where the GM's head is at now in regards to the 32-year-old pending UFA after his scarring playoff meltdown on home ice. Four goals against in a span of less than 23 minutes as Calgary blew a 4-1 late second period lead in game 3. In game 4 after Gulutzan mulled over from a long time who he should start (showing where his confidence level was at), Elliott was promptly pulled just 5:38 in after one goal. Patrick Eaves’ harmless-looking wrister from a sharp angle leaked between his pads. A valid concern with Elliott is he has never proven he can shoulder the workload of being a No. 1. 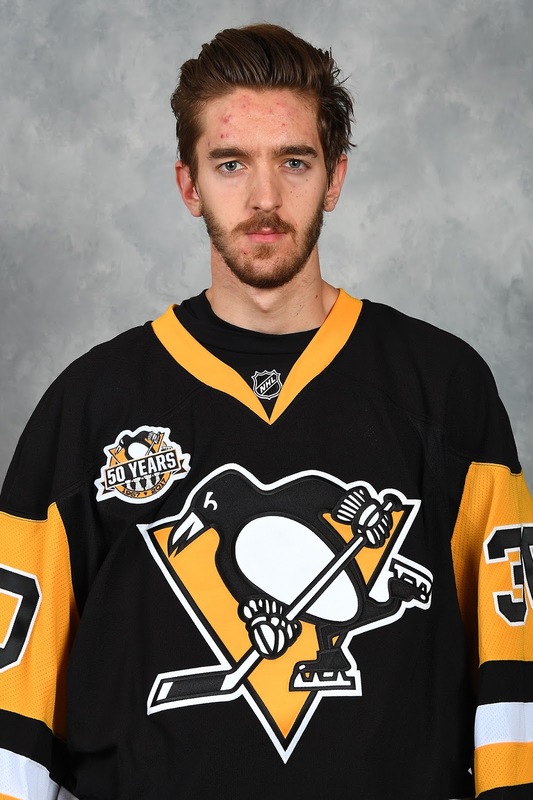 Last year in starting 45 times, he had a great middle part but a bad start and a bad finish. 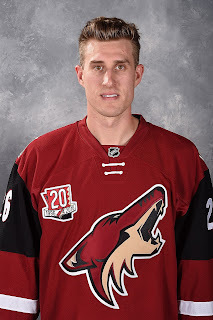 Seven years ago when he started 51 games between the Senators and Avalanche is the only time he's started more than 50 times in a season and his combined save percentage that year was a lowly .893. In contrast, Fleury has made 55-or-more starts in a season seven times. The Vegas expansion draft is coming up June 18-20 with the Golden Knights roster to be unveiled on June 21. It's no secret that this unique twist to this off-season has the Penguins in a bind between the pipes. They have two legitimate starting goaltenders and can only protect one of them. 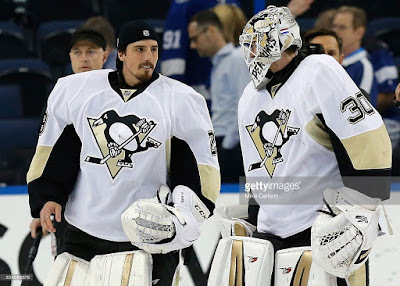 Both have taken a turn backstopping Pittsburgh to a Stanley Cup -- Fleury in 2009, Murray in 2016 -- and Fleury has been stellar again this post-season as he has the Penguins one win away from the Eastern Conference final. Unless Rutherford does something before the 3 pm MT deadline on June 17 at which time NHL clubs must submit their protected lists, the probability is high that Vegas will poach whichever goaltender the Penguins leave exposed. This isn't an absolute, of course. Pittsburgh could make a side deal with Vegas for them to agree to not take Murray. But that could cost a significant asset or assets and then you’re still left with two No. 1 goalies that starting next year carry a combined $9.5M cap hit. You could live with that cost given the importance of the position but on a roster that will have other needs to address, it’s not ideal. Plus, good luck keeping them both happy in a continued time-share. Both should be starters in this league and it's come time for one of them to move on so that can happen. All teams will lose a player to Vegas for nothing, that's how the process works. But it’s the high caliber of these two particular players, whether it be Fleury or Murray, that should have Rutherford leaning towards trading one of them instead, in order to get something in return. Enter Calgary, which is in the opposite situation. Instead of two goalies to protect and only one spot, the Flames have zero goalies to protect for their one spot. While there are a few teams around the league that may be in the mix for a goalie, there are not as many potential landing spots as you think as most already have a goalie that they would protect. This is especially the case with Fleury. Plus, some of the potential destinations come with some baggage that would make them less attractive as a trade partner, compared to Calgary. Dallas – The Stars already have Kari Lehtonen ($5.9M) and Antti Niemi ($4.5M) on the payroll. Unless they’re able to coax Vegas into throwing them a lifeline with one of them, you’d think the only way they add Fleury is by moving one of those two contracts the other direction. If you’re the Penguins, that sounds like a deal killer. Arizona - Similar scenario as above. The Coyotes already have Mike Smith ($5.7M for two more years) so adding Fleury when you've already got a young goalie in Louis Domingue in the fold also, that makes no sense either unless you move Smith to the Penguins. Again, why would that interest Pittsburgh. Philadelphia – With Steve Mason a pending UFA, Michal Neuvirth is probably the guy at this point they would protect. That means they'd gladly add and protect Fleury instead. But does Rutherford want to trade Fleury within his division? Highly unlikely. In my research, only once in the last 25 years have the Penguins traded a roster player to the state-rival Flyers and it was far from a blockbuster. On March 17, 2002, in a swap of fourth liners at the trade deadline, Pittsburgh GM Craig Patrick shipped Billy Tibbetts to Philadelphia in exchange for Kent Manderville. Winnipeg - While the Jets may be looking for a starter, I doubt they're prepared to give up on 23-year-old Connor Hellebuyck just yet. Bring in Fleury and protect him and then you're exposing Hellebuyck. Thus, the Jets are presumably not in the running for a Penguins goalie as their shopping window won’t open until after the expansion draft. Carolina – A week ago, they would have been on this list. But then they went and acquired from the Chicago Blackhawks the rights to pending UFA Scott Darling. Having agreed on Friday to a four-year/$16.6 million deal, he's their protected goalie and new No. 1. One thing to remember with Fleury is he’s in the power position given he has a no-movement clause. Expansion draft rules state that any player with a NMC must be protected unless that player chooses to waive it. Additionally, should he consent to a trade, Cap Friendly reports that he has a modified no-trade clause in which he can pick 18 destinations that are preferred and Pittsburgh is limited to making a deal with one of those teams. 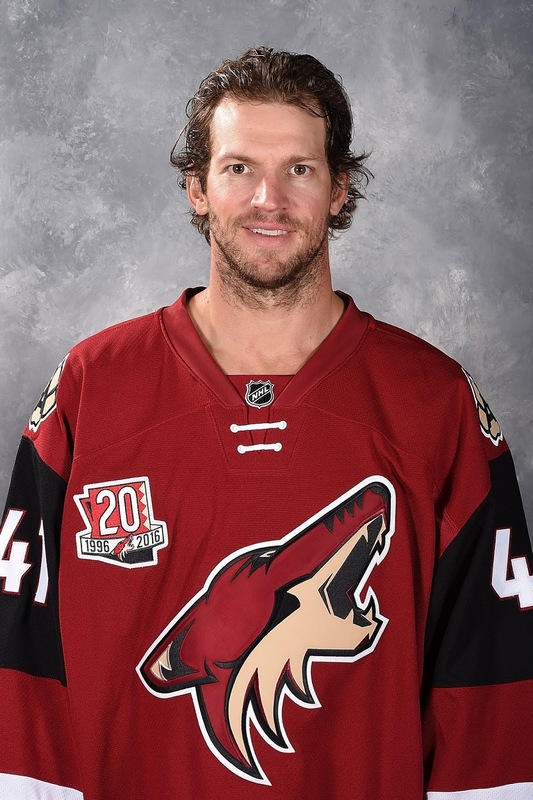 Would the 12-year NHL veteran be willing to be dealt to the rebuilding Arizona Coyotes? I'm not so sure about that. But from what I've heard, Calgary is one of the teams on that list. Some have wondered if maybe Fleury won't waive his NMC for family reasons, to avoid uprooting his wife and kids and moving to a new city. But a consideration there is his two daughters are both under the age of five so it's not like he'd have to pull them out of school. This could actually be a great time to return to Canada. Calgary is surely an attractive destination with the strides the team took in year 1 under coach Glen Gulutzan and with the young pieces in place moving forward. If it's Murray that's moved, Calgary could still be one of the more viable teams to trade with as the Flames could dangle an expansion draft-exempt top goalie prospect as part of the package. Calgary had three goalie prospects playing in the minors last season in Jon Gillies, David Rittich and Mason McDonald. They also want to create room for Tyler Parsons to turn pro this fall. If Pittsburgh parts with Murray, Calgary could offer up Gillies or Rittich. Heck, Sidney Crosby knows McDonald from having played together back in Nova Scotia the last few summers, although that's probably a stretch. It would take more than that, maybe another prospect and/or the Flames first round pick coming up, but that could be a piece. What makes Fleury expendable is they have Murray. 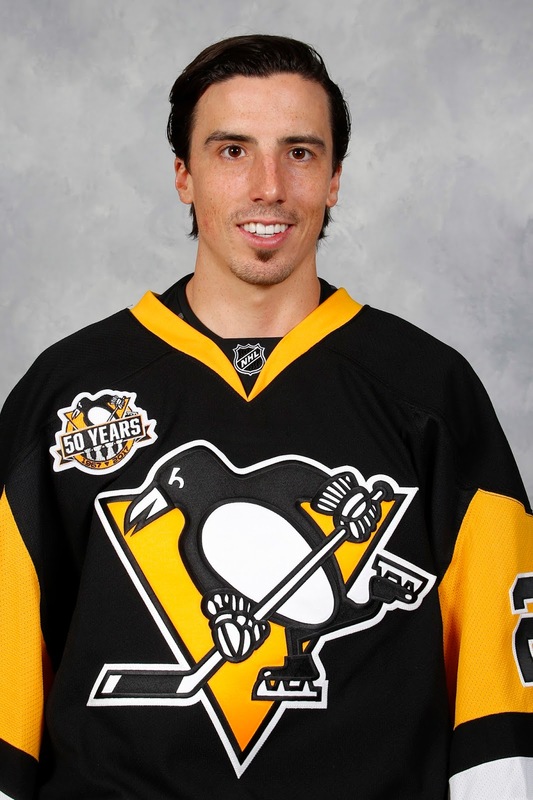 Despite Fleury's terrific spring, keeping a 22-year-old over a 32-year-old makes the most sense for obvious reasons. Add in the fact that entering the playoffs, Murray had supplanted Fleury as the starter. If not for his lower-body injury in the warm-up to game 1 versus Columbus, we may not have seen Fleury yet this spring. There's also a financial incentive. Murray carries a cap hit of just $3.75 million for the next three seasons. When you’ve got the foursome of Crosby, Evgeni Malkin, Phil Kessel and Kris Letang tying up over $32 million of your cap space for the next five seasons, every dollar saved elsewhere is crucial in helping fill out the rest of the roster. If you were to replace Fleury with a back-up at $1.5 million, you’ve cleared enough cap space at $4.25 million to go shopping on July 1 and bring in a quality player to play in your top nine. Michael Frolik, for example, was signed two years ago by the Flames to a deal averaging $4.3 million. If you’ve been following the playoffs at all, I’m sure at least a few Flames fans (never mind ownership and the many other front office stakeholders) have wondered what might have been had Calgary received the kind of goaltending Fleury has given Pittsburgh, especially against a Capitals team that has held the edge in territorial play yet trails the series 3-2. The groaners, the dribblers, the back breakers, those ugly goals that Flames fans know all too well haven’t been there. It’s been night after night of sterling efforts with numerous acrobatic stops mixed in along the way. In pushing Alex Ovechkin and the NHL's No. 1 regular season team in the Washington Capitals to the brink of elimination, Fleury has been Pittsburgh’s best player. Thrust into the starter's job when Murray got injured in the warm-up prior to game 1 of the Penguins first round series with Columbus, he has been really good. If Calgary got this caliber of goaltending three weeks ago, we would be five games into a Battle of Alberta right now. With two years left on a deal that pays him $5.75 million annually, that is ideal term for manageable dollars. Would you rather pay $4.2 million like the Oilers are for Cam Talbot? Sure. But there are also 13 goalies that make more than Fleury so in a summer where Dennis Wideman's $5.25 million is coming off the books, it's not money that would cripple the team. More attractive is it's a short-term commitment. As the GM, you're hoping two years is long enough to bridge you to when you hope one of Gillies, Rittich or Parsons are ready to inherit the starting job. For those nervous about his age, Martin Brodeur played until he was 42, Luongo is 38, Ryan Miller turns 37 in July, Kiprusoff retired at 36. Fleury is older but 32 in goalie years is nothing. There are a dozen starting goalies in the league that are older than him. While his play will eventually drop off, nothing in this year’s playoff performance suggests he doesn’t have at least two more solid years left in the tank. What his age does do is bring the acquisition cost down considerably, compared to a stud young prospect like Murray. In his dozen seasons in the NHL, there have been highs and lows but while he may been used more as a back-up goalie in Pittsburgh lately, that's more a testament to how good Murray has been more so than a knock on Fleury. Over the last seven years, Fleury has a .917 save percentage in the regular season. Among active goalies (minimum of 65 starts), that's not that far behind the leader Carey Price (.923). A few others of note include Braden Holtby (.922), Henrik Lundqvist (.921), Sergei Bobrovsky (.920), Ben Bishop (.919), Pekka Rinne (.918), Jonathan Quick (.918), Corey Crawford (.918), Martin Jones (.916), Ryan Miller (.915), Brian Elliott (.915) and Mike Smith (.915). Playoffs have been a different beast. After reaching the Stanley Cup final in back-to-back seasons at age 23 and 24 -- winning it in his second attempt -- Fleury's post-season struggles the next four seasons were well documented. As the Penguins went through a period in which they annually crumpled in the post-season after routinely winning their division in the regular season. Lately, however, it appears the spring jitters are no longer a thing. Going back to 2013-14, Fleury's playoff save percentage over the last four post-seasons is .921 in 29 starts. It's not Holtby (.935) numbers, but it's not all that far behind Bishop (.927), who is second on that list, and he's ahead of a bunch of familiar names. Salary-wise, there will be cheaper options out there for the Flames. 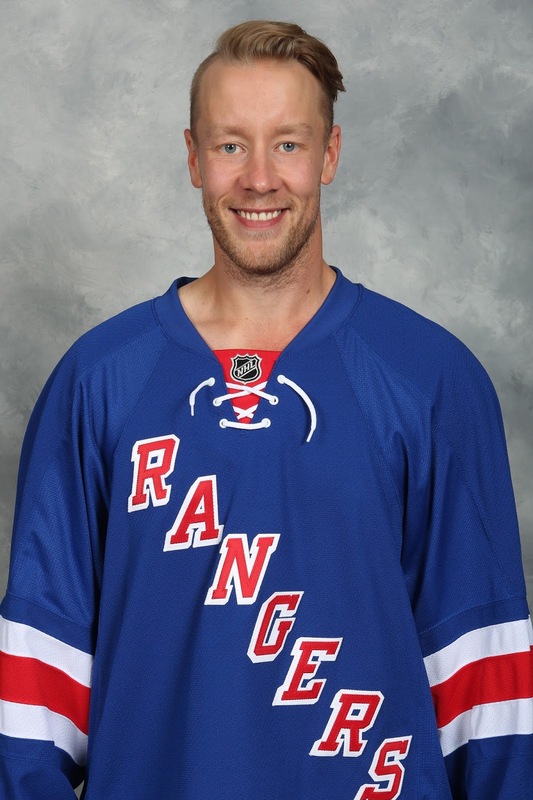 Of the back-ups coming off good seasons, 27-year-old Antti Raanta (.922 SV%) in New York is one example. 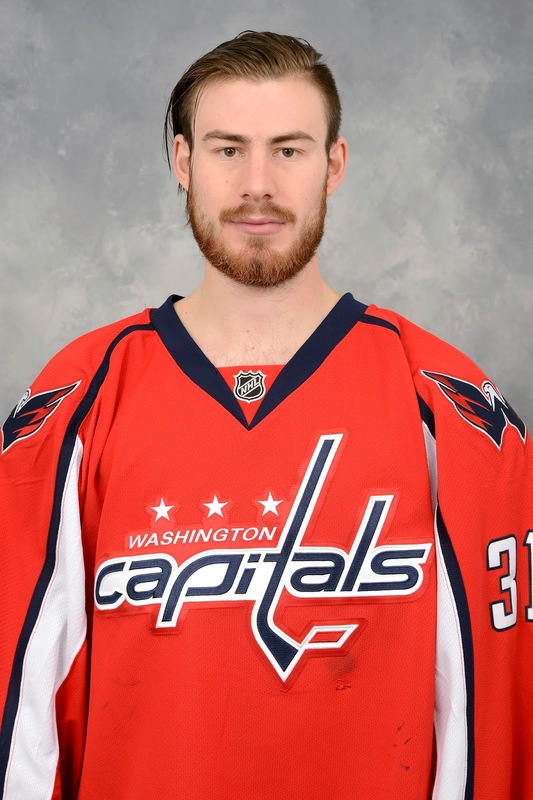 Philipp Grubauer (.926 SV%), 25, is another in Washington. But neither has been a No. 1 (Raanta's career high is 26 starts, Grubauer's is 19 starts), both have enjoyed the benefit of playing behind very good teams, and they barely have any playoff experience (one start between them, belonging to Grubauer). Chasing the next Cam Talbot or Martin Jones has it's perils. You might end up instead with Eddie Lack. Also, an intangible you get with Fleury is an older guy, who would be an ideal mentor for the young goalies in the organization. Just look at how Murray has developed in the company of a guy 10 years older than him, who had to deal with the pressure of being the NHL's first overall pick in 2003. What makes Murray expendable is they have Fleury. There are decent quality back-up goalies that can be brought in for cheap to tandem with Fleury and that gets you through the next couple years. By then, the Penguins hope one of their young goalies are ready. That could be someone not currently with the organization, who comes over in a deal for Murray. Or, it could be Tristan Jarry, the 22-year-old currently backing up Fleury while Murray is sidelined. Of the goalie prospects in the Penguins organization today, Jarry is the natural replacement for Murray as the starter in waiting. Selected from the Edmonton Oil Kings by the Penguins in the second round pick in 2013, Jarry’s development is coming along nicely. 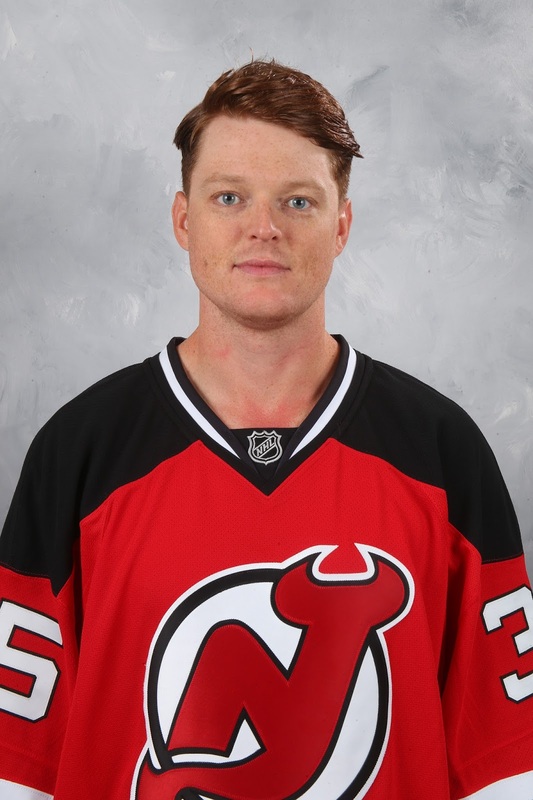 After posting a .905 save percentage in the AHL in his rookie season last year, this year with Wilkies-Barre/Scranton, he put up a .925 save percentage, which was near the top of the league. He and goaltender partner Casey DeSmith won the Harry 'Hap' Holmes Award for having the AHL’s lowest goals-against average. 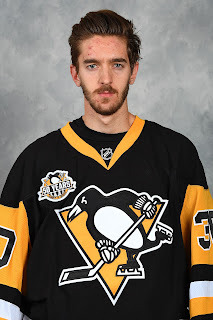 Further out, the Penguins also have another goaltending prospect they’re excited about in Filip Gustavsson. 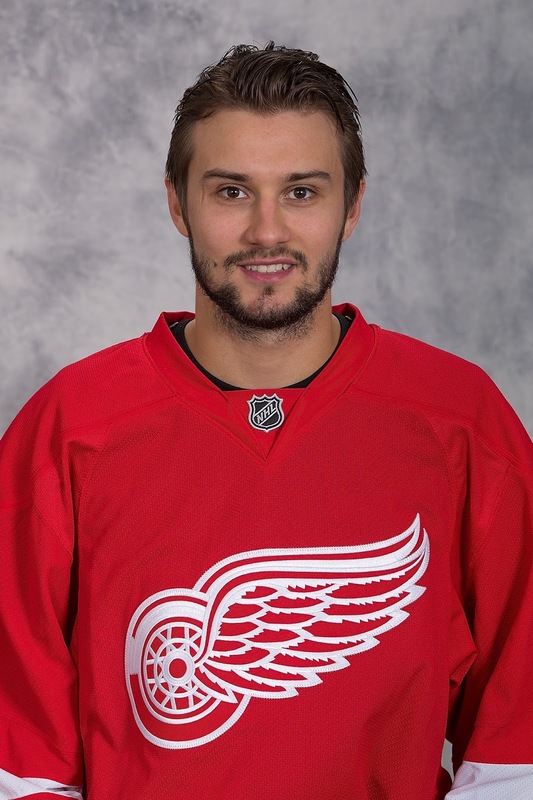 The third goaltender off the board in the 2016 NHL Draft, going 55th overall, right after the Flames selected Parsons, Gustavsson spent last year in the Swedish Hockey League. If Jarry (or any other prospect) isn’t ready in two years, the option of extending Fleury is always possible too. 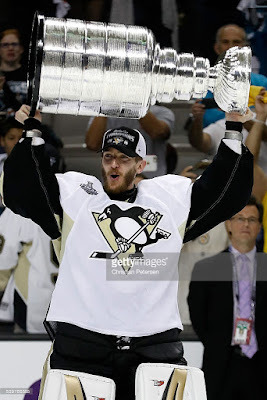 Is Pittsburgh concerned that in opting for Murray, he may not be able to stay healthy. 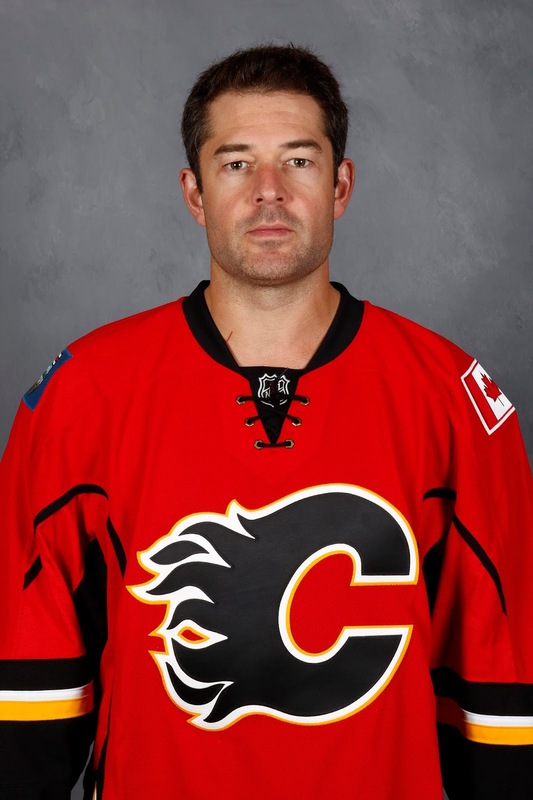 June will mark the 38th entry draft for the Flames since the franchise relocated to Calgary. In that span of close to four decades, Mike Vernon, Trevor Kidd and Curtis McElhinney remain the only three real success stories when it comes to drafted and developed goalies by this organization. That’s not saying much while at the same time saying a lot. It means, never, never, NEVER bank on that top goaltending prospect panning out. Hope he does, do everything in your power to set him up for success, but we're well past the point where you can build your team on that assumption. Murray’s sample size isn’t large. Because he could have easily won the Conn Smythe last year, people forget he just completed his rookie season. But there’s a heck of a lot more ‘for sure’ with Murray than what you have with any of the Flames up-and-coming but still unproven kids. If you can bring in Murray without surrendering a core piece off your current roster, you have solved your goaltending woes not just for the short-term, but also for the long-term. If in three years time, Parsons is ready to be a No. 1 in the NHL and the Flames are stuck with two top young goaltenders and not enough playing time for either one, those 'problems' are the kind of things that are welcomed by any GM. Murray also comes with a real attractive salary. A three-year extension signed last October will see him earn $3.375 million annually beginning in 2017-18. Pair him with an economical back-up like a Chad Johnson and you're laughing. Plus, upon the expiration of that contract, he is still a restricted free agent and still under team control. 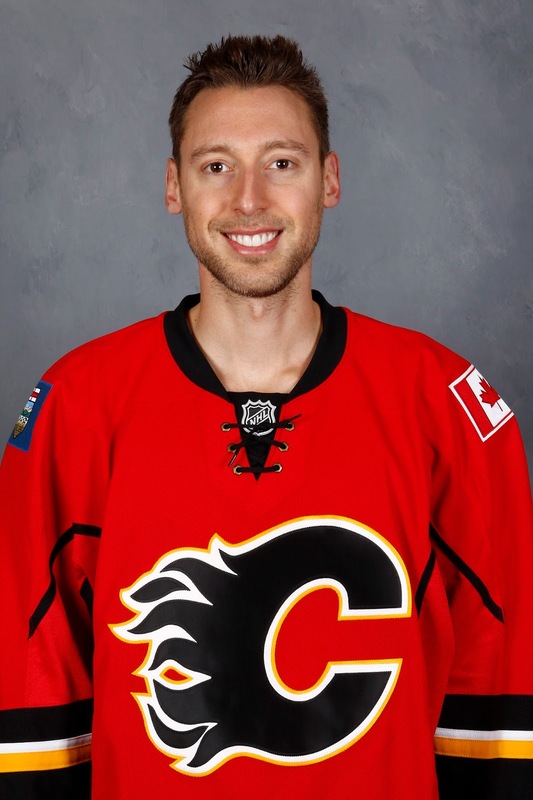 The Flames get a guy that immediately becomes the No. 1, no question. Murray’s .923 save percentage in the playoffs last year in reeling off 15 wins also provides some reassurance that he’ll be able to handle the pressure at that time of year and will thrive rather than wilt when the magnitude of the games increases. 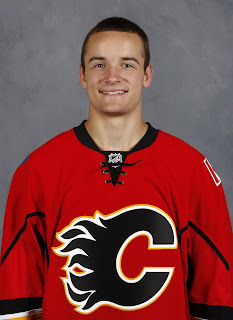 Turning 23 late this month, Calgary would be adding a guy that becomes part of the young core of this team moving forward that Treliving will continue to build around. Johnny Gaudreau is 23, Sean Monahan is 22, Sam Bennett will turn 21 in June, Matthew Tkachuk is 19. Dougie Hamilton is 23. Man, there’s a lot of talent in that group. Add a goalie to that mix and you have a real strong foundation. Last season, Murray went 32-10-4 with a .923 save percentage. The season prior when he made his NHL debut late in the year, he went 9-2-1 with a .930 save percentage. Albeit in a smaller number of games than others, combine those two years and he’s right there among the NHL’s elite. No matter who the Flames bring in next to play goal, there are no guarantees that next season, or next post-season in particular, things will turn out any different than this year. We're talking about goaltenders. They're unpredictable, susceptible to a good year followed by a bad year followed by a good year. A high level of angst will always exist. There are very few goalies that have been consistently good year after year after year. Carey Price? 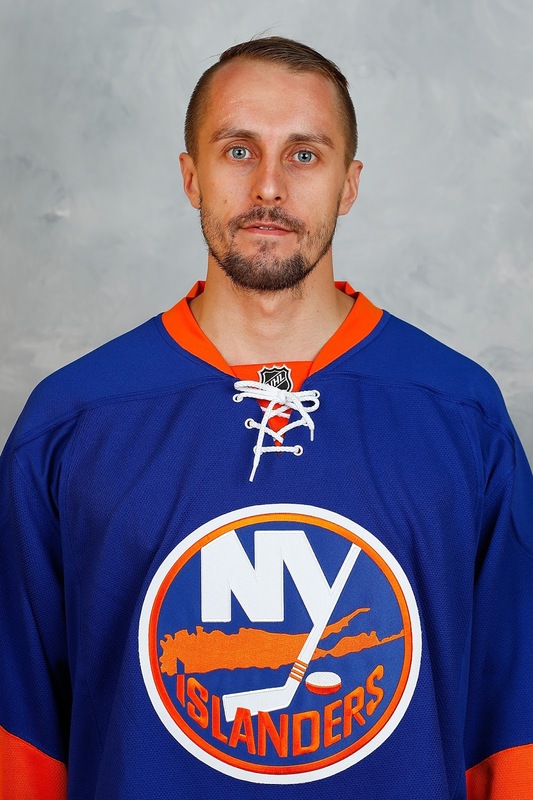 Henrik Lundqvist? Braden Holtby? And even the latter has shown a few cracks this post-season. Realizing this, your priority if you're Treliving should be prying away a proven youngster like Murray, or bring in someone on a shorter term like Fleury. If the latter, then you hope one of your goaltending prospects develops into an NHL goalie and is ready to step in after that. By the summer of 2019 when Fleury would become a UFA, Gillies will be 25 and will have three full years of pro hockey experience under his belt. Historically, that's been the average incubation period for an NCAA goalie, if they're going to make it. By that point, Rittich will be turning 27. Heck, the young Czech might have already inherited the back-up job by then and be looking to graduate to No. 1. 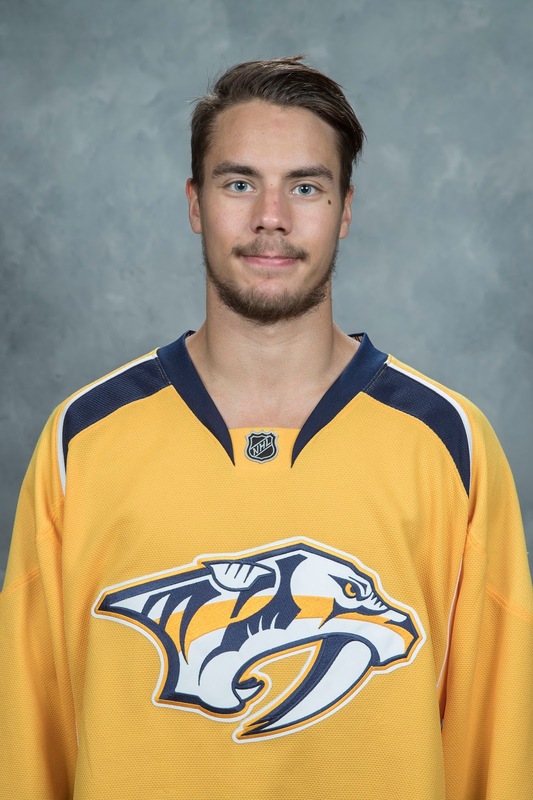 As for Parsons, who I consider the best prospect of the three, he would be 21 and have two years of pro hockey experience under his belt (assuming he turns pro next September.) Could the highly touted second rounder be ready by then? Why not. Murray was a third round pick out of the OHL and he only needed two seasons in the AHL before ascending to the Pittsburgh roster. The best get for Treliving, for sure, would be Murray. No disrespect to Fleury but Murray's age, resume, potential and contract situation is alluring. In that vein, one wonders if with every passing Penguins victory and masterful performance by Fleury this spring, that Murray inches closer to being the one that ends up being moved within the next six weeks. "It’s the Penguins that have the shot clock counting down on them.There's a limited number of teams in the mix for a goalie and also with the space to protect one." One also wonders how much Murray's fragility with those four injuries since last April might impact his value and what Pittsburgh could command in a trade. The other thing to remember is in dealing with Pittsburgh, the Flames are in the position of power. If the cost for either goaltender is too high (e.g. If Sam Bennett requested in the package for Murray), they can simply walk away and pursue other options -- Bishop, Raanta, Mike Smith, Miller, bringing back Elliott. Calgary need not pay a king's ransom, especially for Fleury. It’s the Penguins that have the shot clock counting down on them.There's a limited number of teams in the mix for a goalie who also have the space to protect one in the expansion draft. Rutherford may end up having to settle for the best offer. Thank you Vegas for entering our lives and making this off-season such an interesting one.